A Cup of Brothee | The Essential Broth Co.
Coffee is well known for its health benefits – however, not everyone does well on coffee. If you are trying to cut back, brothees are an ideal replacement. 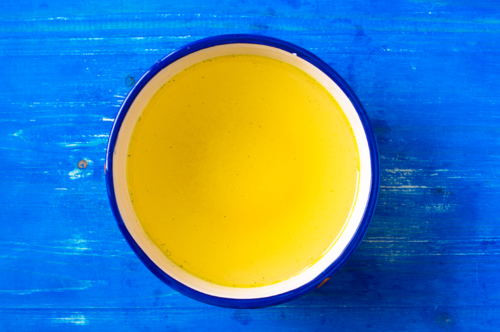 Broth is very low in calories, so it does not break a fast, or affect nutritional ketosis. It also contains histidine, which acts as an appetite suppressant – this may explain why broth is so filling, and helps with cravings. Gently warm the broth on the stove (let it simmer for a few minutes to achieve a creamier texture). For a bit more umami flavour, add a splash of coconut aminos, and some powdered onion, garlic and turmeric. You will always have a nourishing snack on hand if you warm up a packet in the morning and pop it into a thermos flask.